Whilst others think they taste quite vicious. Their capacity is quite auspicious. 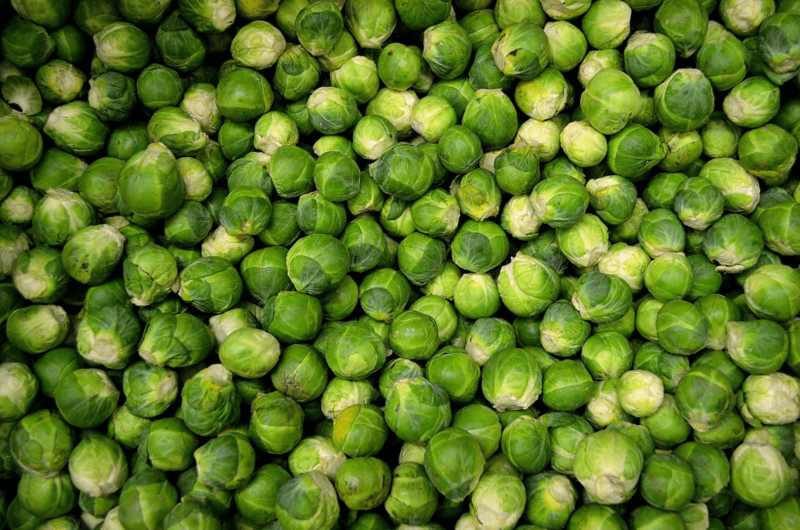 Brussel sprouts: a capacity for change (Photo Credit: Public Domain)? This is a Limerick, inspired by recent research published in RSC Advances which investigated the potential for Brussel sprouts to be used as materials in supercapacitors. A supercapacitor is an energy storage system with high capacity, high power density and long lifetime, making them an attractive alternative to standard batteries. Porous carbon materials have been shown to be excellent materials with which to build supercapacitors. However, their artificial fabrication can be an expensive process, and alternatives are sought. Natural biomass (i.e. organic matter that can be used as a fuel) has been investigated as one such supplementary material, as it is abundant, renewable and low-cost. Previous studies have demonstrated the successful use of pollens, leaves, and even coconut shells to synthesise the porous carbon materials for use in supercapacitors. In this study researchers, have shown that Brussel sprouts can also be used to synthesise porous carbon materials, and that such materials exhibit excellent capacitive performances. A jolly and thought-provoking verse for Christmas. Thanks for posting.